Lens Crazed » Blog Archive » Charming Otaru! The harbor city of Otaru is situated on the southwest part of Hokkaido just on the outskirts of northeast of Sapporo. Like many places in Hokkaido, you will not find skyscrapers nor many tall buildings. 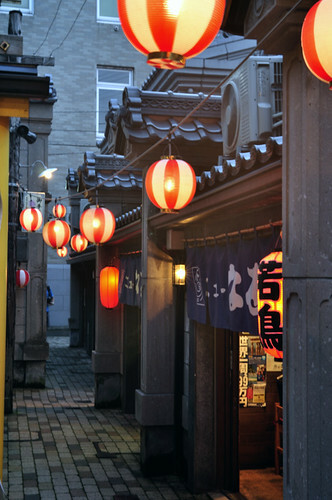 What it offers are buildings of old architecture, well preserved and overflowing with Japan’s unique culture. A reminder of decades past and its way of life. 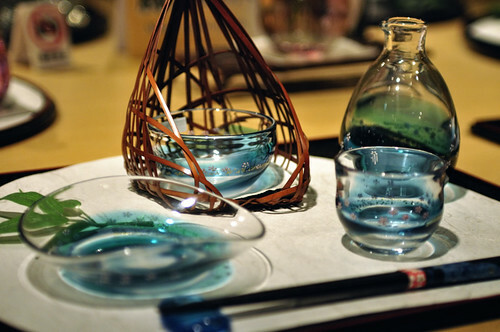 It seems that Otaru is famous for its various crafts, especially beautiful items made of glass. There are entire shops filled with glassware on sale (not much of a sale if you look at the prices! ), such as trinkets, plates, bowls, wine glasses and Christmas decorations. One of the most unique shops house a museum of musical boxes on display, and entrance is completely free! I was intrigued by many of the pieces on display, intricately crafted with prices beyond my wildest imagination. 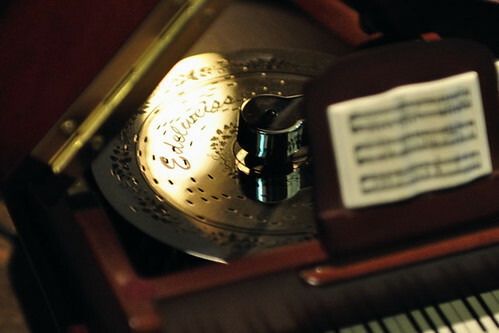 I never knew music boxes can cost so much. The little food streets offer much for the hungry traveler, with the delicious smell of ramen lingering in the air, yakitori BBQ sticks grilling on the stoves and of course glorious sushi with the freshest sashimi. How can a poor traveler like me survive the constant lure of exquisite food in a city like this? How can anyone? The most attractive part of Otaru, to me at least, must be the canal area where every visitor to the city will stop by to take pictures. I have seen postcards and scenes on the local stations of the canal area during winter. The Christmas lights and snowy grounds gave the place an almost surreal feeling, a romantic heaven on Earth. Perhaps there is a paradise after all. Very interesting pictures! I like the 3rd one the most. Hey, where are all the Japanese girls photos that you have promised me 10 times before you headed off to the faraway land? !